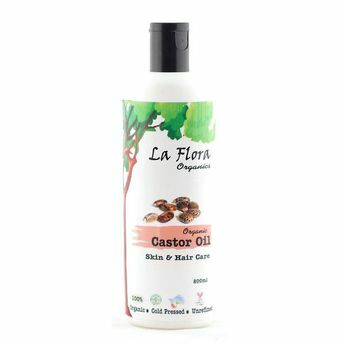 La Flora Organics Castor Oil is 100% Pure, cold pressed, undiluted and unrefined with great benefits for skin and hair.Castor Oil is a simple, ancient beauty remedy. It has natural anti-bacterial and anti-fungal properties and is high in Vitamin E, Omega 6 and 9 beneficial fatty acids. Its high ricin oleic acid ratio makes it truly beneficial for skin and hair.